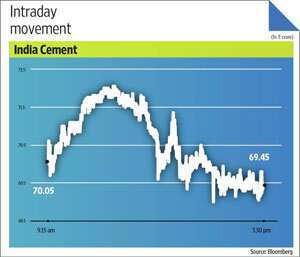 South-based cement firm India Cements Ltd’s (ICL’s) performance for the December quarter may turn out better than expected. Cement prices, which normally take a beating, particularly in the south, during this period due to rains and low construction activity, have been stable since April. Production discipline by southern manufacturers has helped sustain pricing amid volatility in most other regions on sluggish demand and an aggressive sales push by manufacturers. 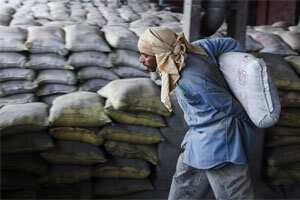 Stable cement prices and volumes should lift revenues for the December quarter by around 8-10%. This portends well for the firm that registered a decline in profitability in the recent past. But this time the anticipated drop in cost pressures could improve margins, too. A key reason is that coal prices have softened by nearly 10% compared with a year back. Of course, rupee depreciation may increase landed cost for ICL. In spite of a rise in fuel and freight costs in absolute terms, better realizations on sales during the December quarter may offset the same, translating into flat or marginal operating margin improvement from a year ago (around 19%). March quarter profitability may see further improvement as despatches are normally higher on a sequential basis. ICL’s stock continues to underperform the CNX Nifty as it has over the last one year or more. Falling indices of industrial production and inertia in mega infrastructure projects along with excess capacity in the industry have kept cement stocks out of favour for several quarters now. The upward trajectory for ICL’s stock from its current price of ₹ 69 depends on the twin factors of improved operating margins and reduction in debt. For now, some brokerages have reduced the drop in cement volumes estimated earlier for the full fiscal 2012, as the second half is expected to show sustained increase in cement sales, despatches and realizations.